Koenig’s First Take: Man, this hull can really run. 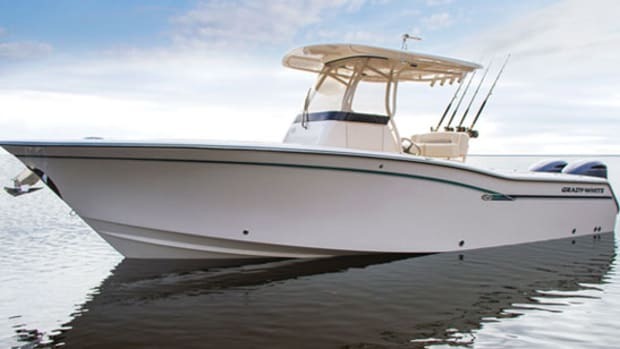 The 33 FE from Southport is a do-it-all boat that is a ton of fun to whip around, especially when there are family and friends aboard. 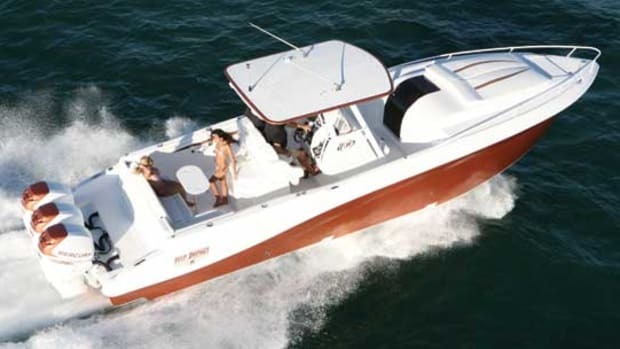 I just hopped off the Southport 33 FE after a sea trial following the Ft. Lauderdale boat show. I’m soaked. It’s not the boat’s fault though. More on that later. 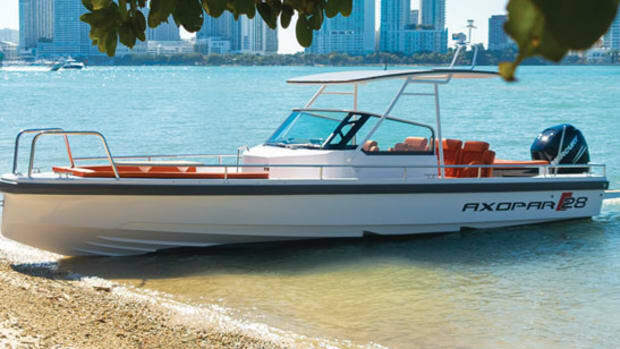 The 33 FE, short for Family Edition, is a super-fun boat to run. 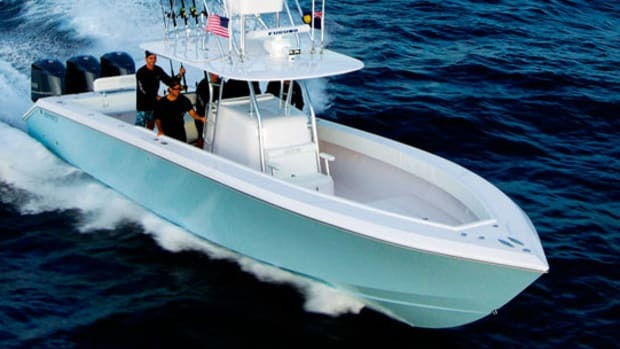 She’s got all the onboard space you could hope for in a vessel this size, and since she’s made for the family, she’s got lots of forward seating—historically speaking always my favorite seat on an open boat aside from the helm, and occasionally even over the helm. Sometimes you just want to zone out and catch some bugs in your teeth, you know? 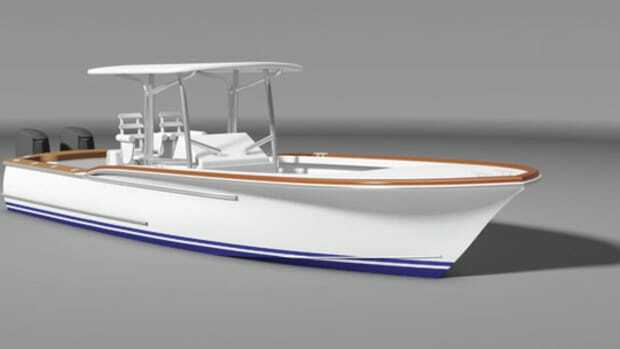 This Southport is a sturdy little boat. She’s resin infused, and has two stringers, crisscrossed by three median transversals. That grid, the hull, the liner, the main deck, and nearly everything else is glued and screwed three times over. 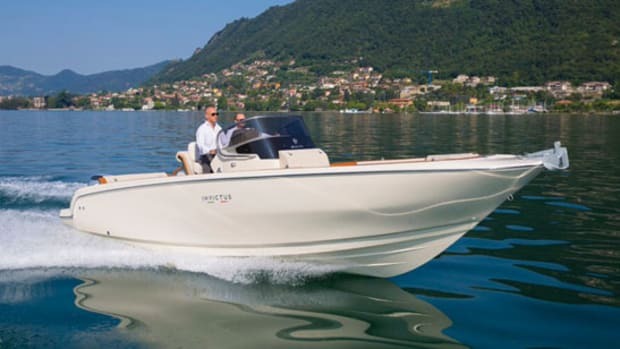 The result is a solid, quiet ride with excellent torsional rigidity. 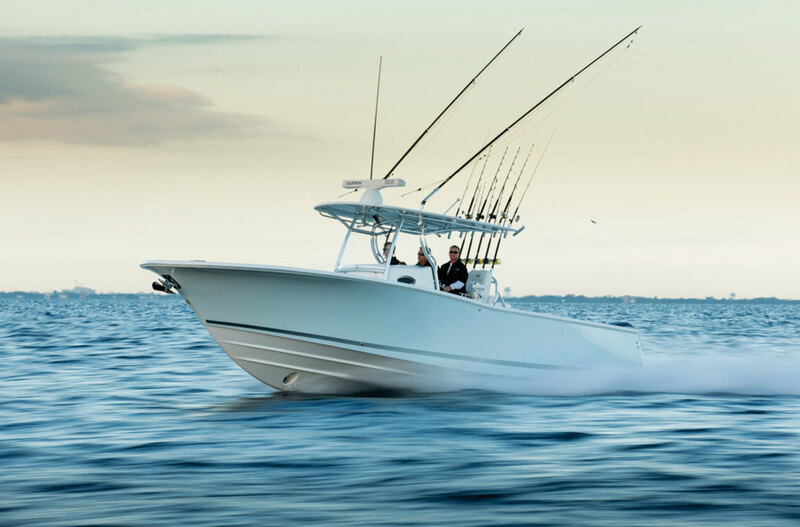 Heading out through the Port Everglades Inlet, the 33’s Hunt-designed hull sliced easily through the bunched up 4- and 5-footers, shrugging off white walls of ocean spray all the way. This is an exceptionally dry boat, I remember thinking. Once we were out of the inlet, we took off. 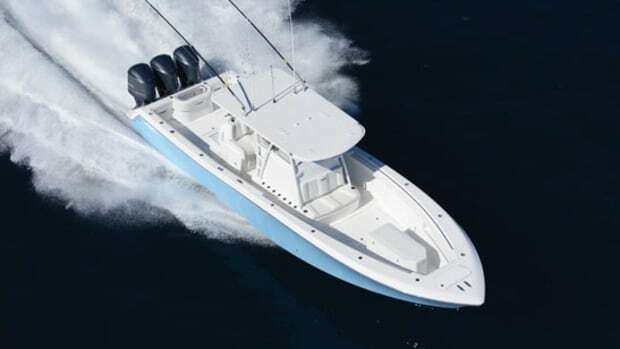 At her 28-knot cruise the boat tracked like a hound dog, and when I bumped the throttles forward the twin 300-horsepower Yamahas still had more to give, pushing us up to a 38.7 knot two-way average at WOT. Not bad at all. After the sea trial I relinquished the wheel to a Southport employee who shall remain nameless. He wanted to show me something the boat could do, though I couldn’t quite make out what over the wind. We slalomed through the water as I clung to the port side of the console, and then—well—he did something odd with the boat. I don’t even know what to call it. 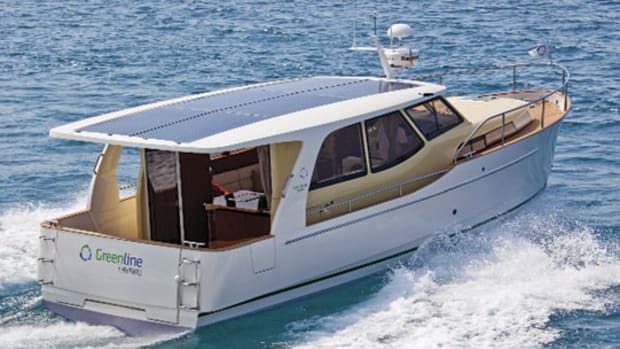 We decelerated while hitting a wake sideways, and a wall of water came over the gunwale and drenched me. My sunglasses were knocked askew, my notebook was all but ruined. The driver apologized profusely. I just laughed. 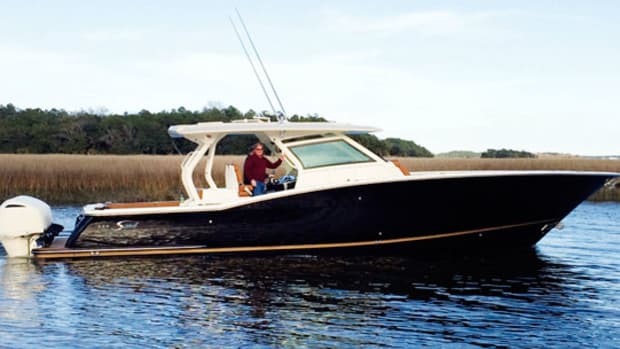 This 33 is sporty, well-built, and seaworthy. But hey, she’s still a smallish open boat. You’re bound to get wet from time to time. It’s all part of the fun.